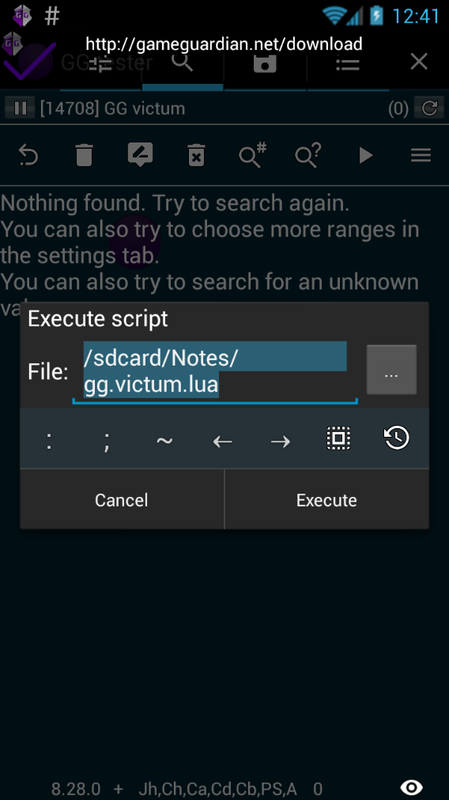 Starting from version 8.28.0 GG have support of LUA scripts. 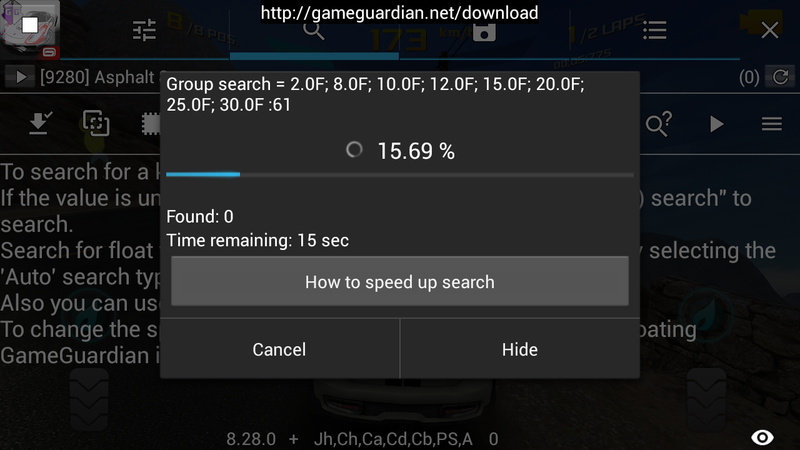 It can be loaded and run. GG function stored in table named gg. You can print it for get short help. In future we add help with examples. 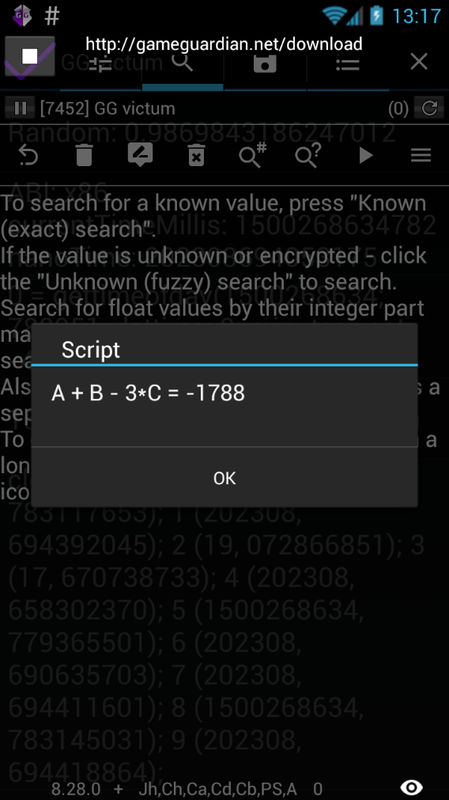 One may just load Lua script and only input the value. 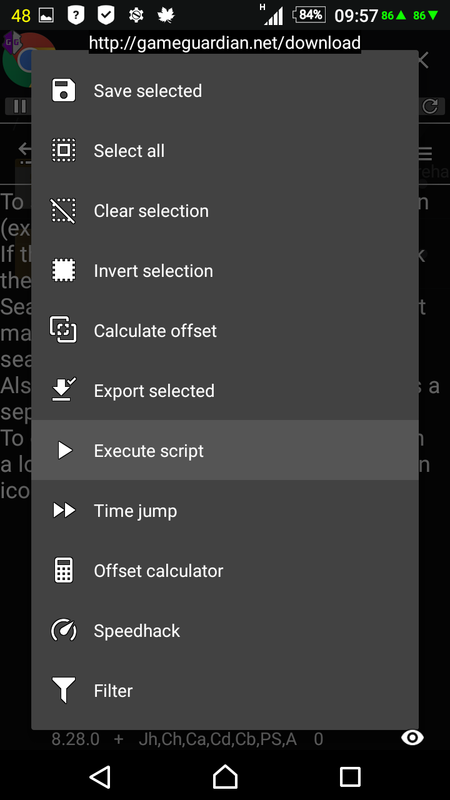 Other options like type and region will be automatically set. 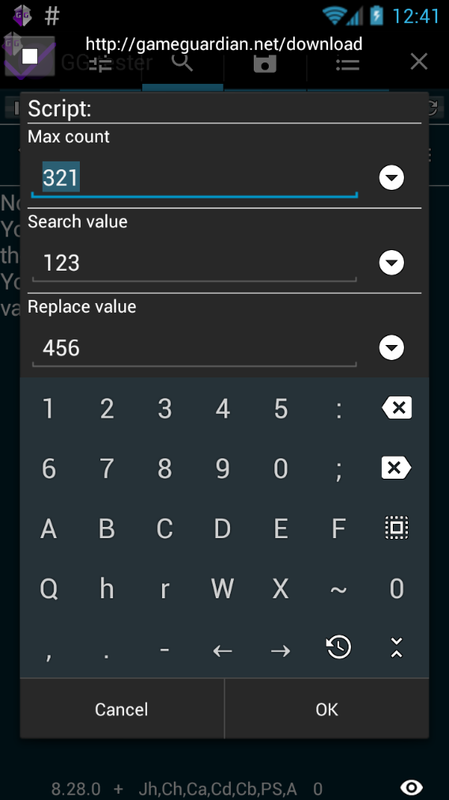 Also I think it could automatically calculate and add the other values based on the value found with stored offsets in it, makes many things easier. Yes. 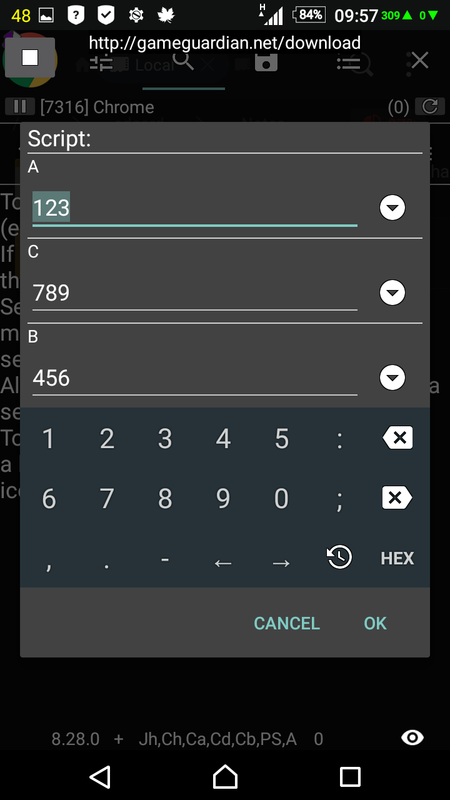 And can be created automated calculator/tool based on gg. 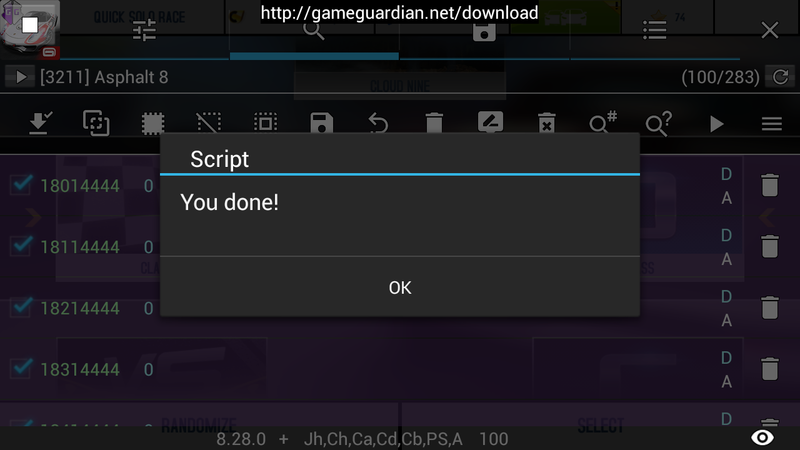 Present function 'toast', 'alert' and 'prompt' which allow create some dialogs for user. 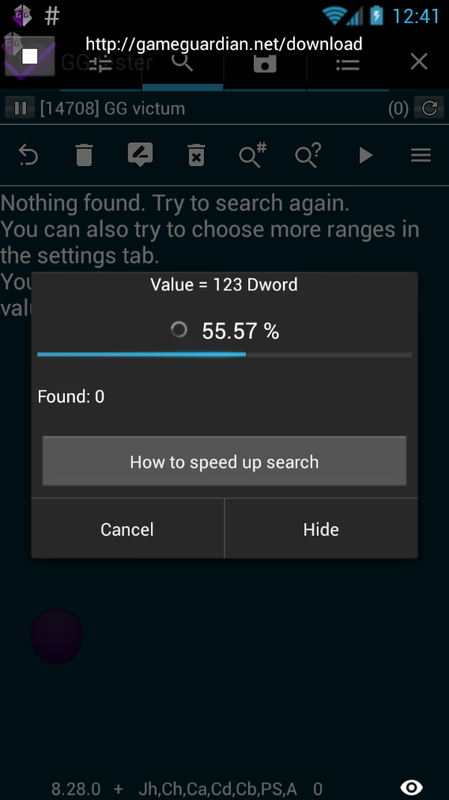 For example 'Input gold amount:' and use this value for make search. 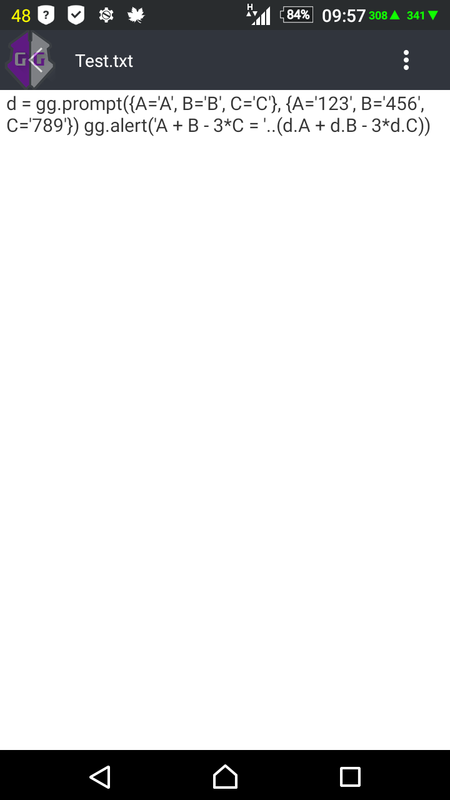 Haha, that's what I like. 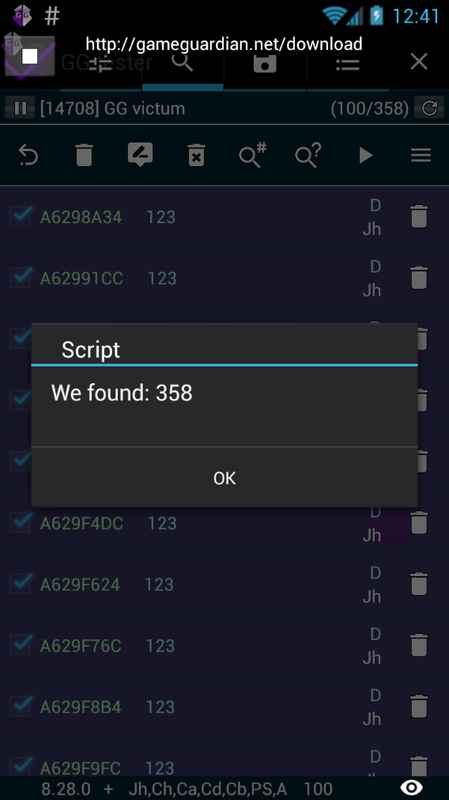 Script can work with files. It can be useful for create complicated things. 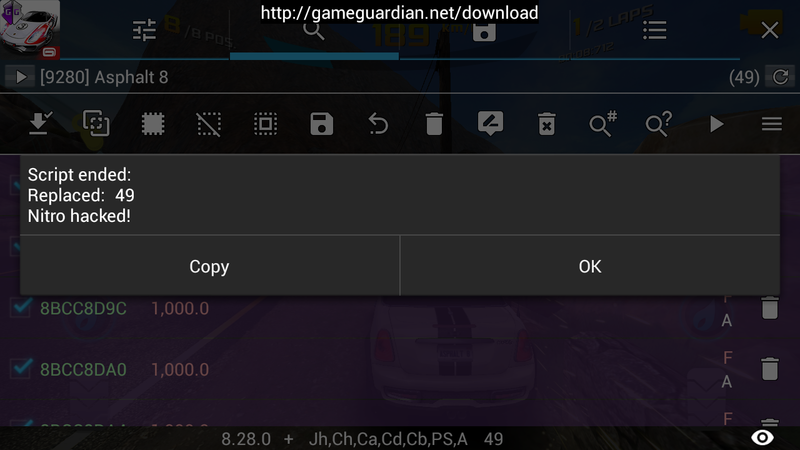 API to GG will be edited and extend in future releases. 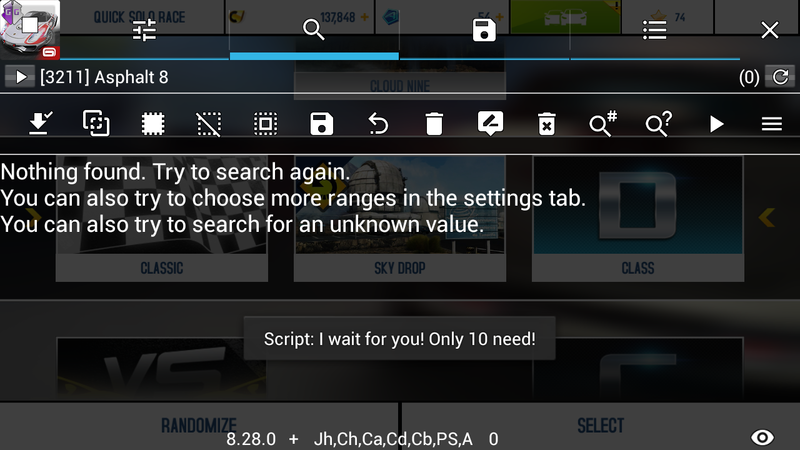 Now present only basic features for scripts. 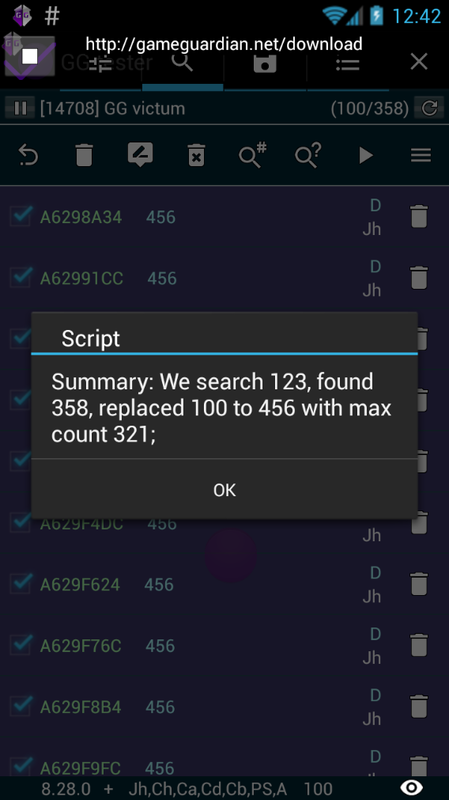 Scripts can be used for automate some things like lot of same actions. 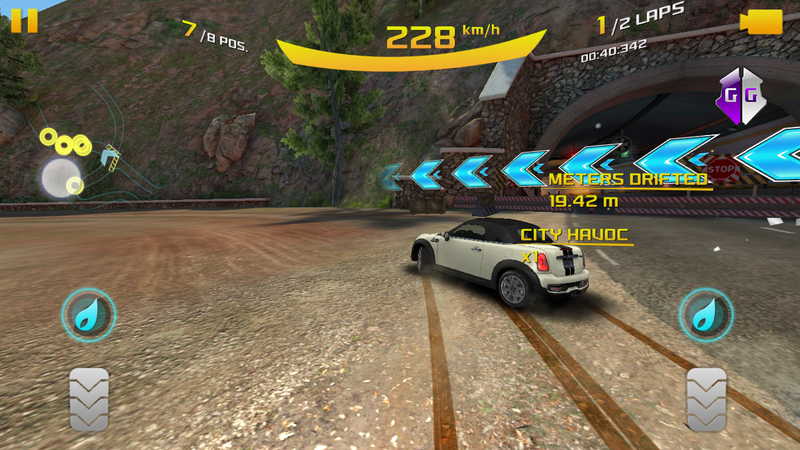 For example for Asphalt 8 Enduro Double Down can be written automated scripts which make hundred of replace in one run. I found it pretty easy. 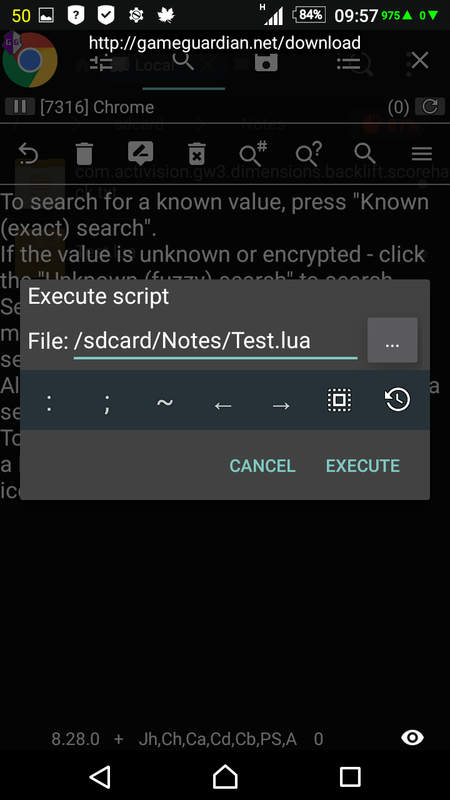 Just copied the data from post above into a text file then replaced the ".txt" extention to ".Lua" and then went to search tab and rap on "more" (three lines) button and "excute script". I think by working with these samples, it's easily possible to make a good one for a game. No need change extension. 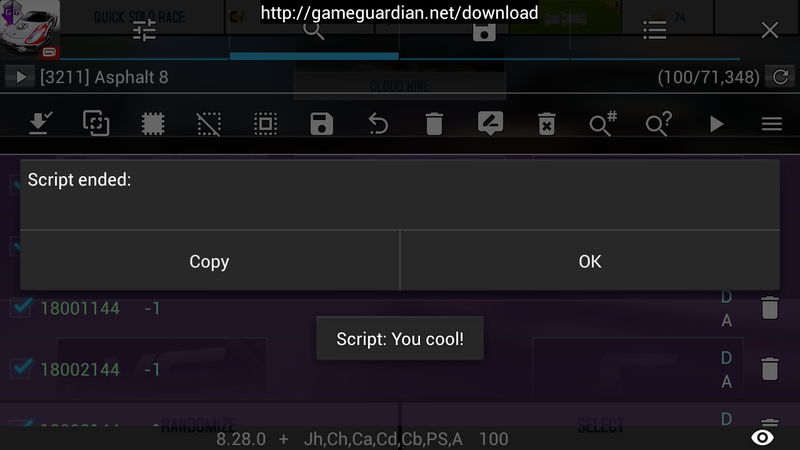 You can load .txt files. Or any others. One thing, why the position of "C" and "B" are flipped? 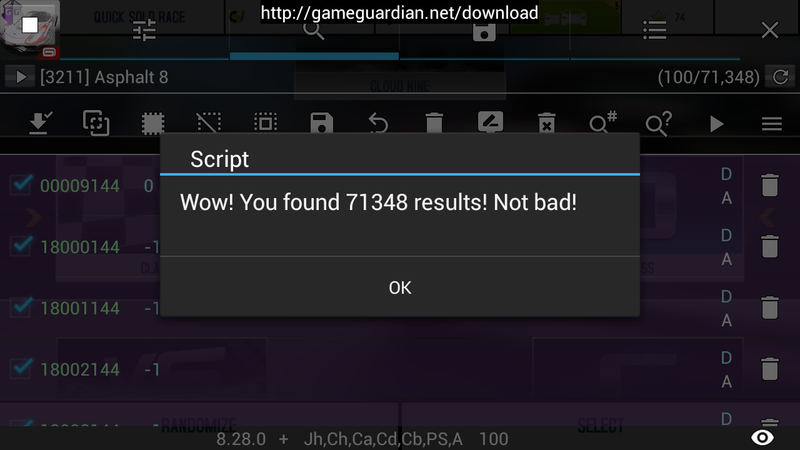 The code is OK as I'm seeing it. Lua table not specified order of fields. Maybe in future I try fix this. I make this support of scripting in last 3-4 weeks. It is first public release. Something can be not good or broken. In future we try improve it. 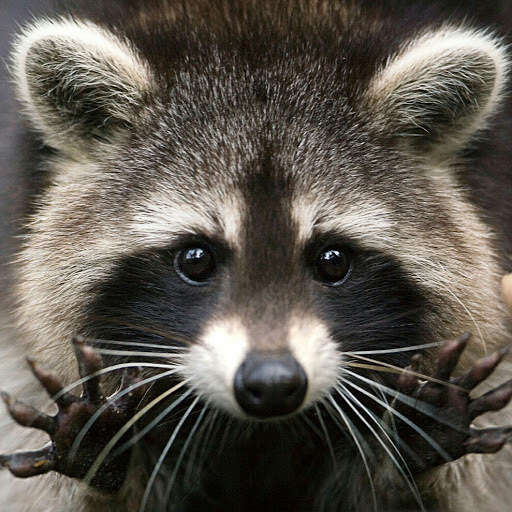 I will try to help too. I'm working on hack for Quadropus Game. 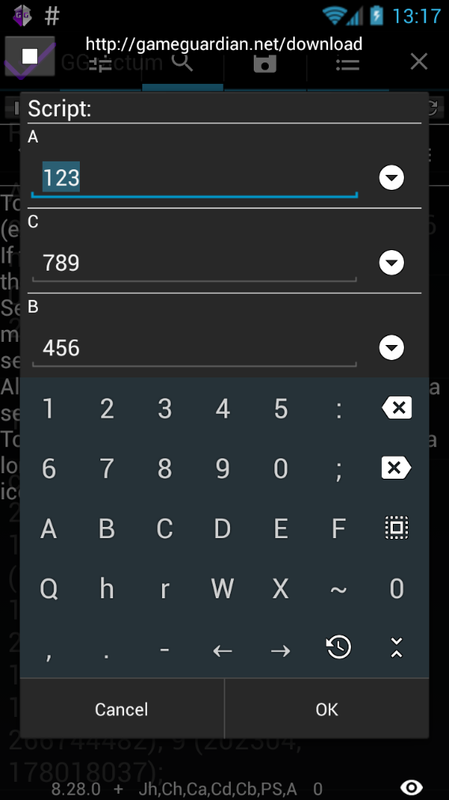 I made it to hack the input value as double and Encrypted. The user needs get back into game and change the value and then come back GG and enter the new value. 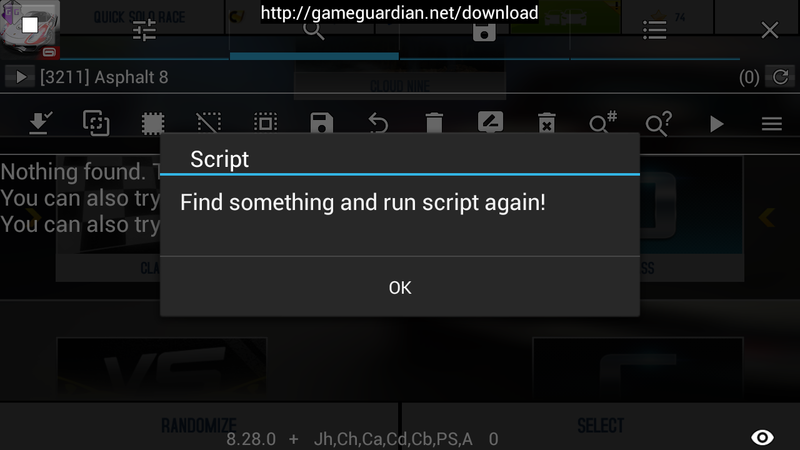 So it loads the script again and it search in the found results...or it makes a new search? Depends on your logic. Read Lua manual reference posted in first post. 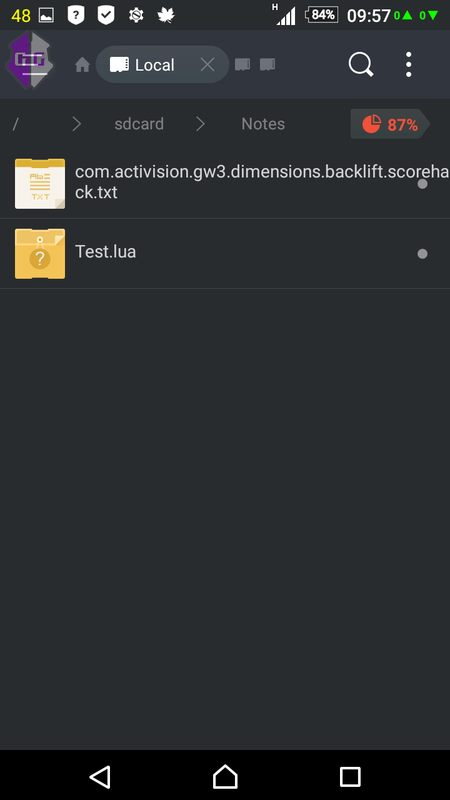 You can store state to file and load on each start script. Or wait for some actions. 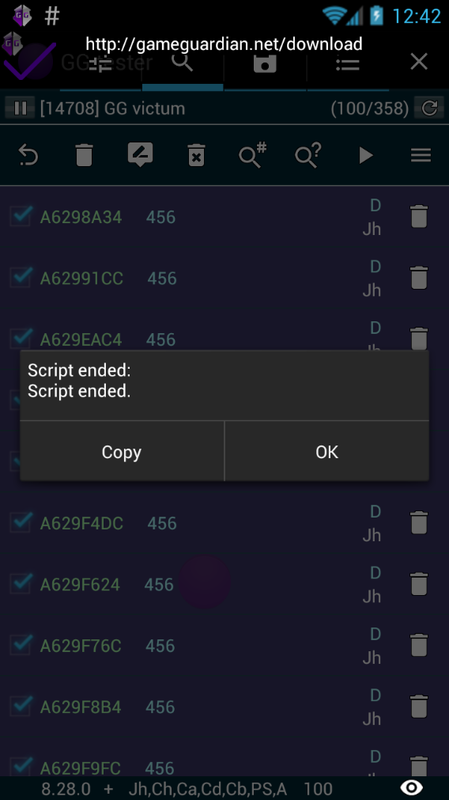 In last case user do not need run script each time. But this not always possible.